Twenty kilometres - that's all that separates Krakow from the Ojców National Park, which is the smallest National Park in Poland. 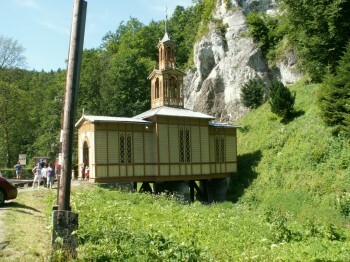 Along the way, among other things, you can admire the "chapel on the water", a wooden building, created over the two banks of the stream "prądnik" in 1901, as a sign of protest against the law prohibiting building on the land at the time. Another interesting place can be Boroniówka, a mill settlement where we can find a historic mill and a sawmill, which are excellent examples of wooden architecture. These unusual places allow us to explore the vegetation and wildlife of our region. 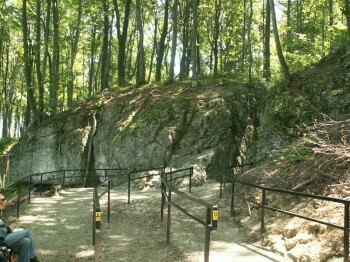 Nearby is the mysterious Łokietek Cave, which is the largest cave in the area. Fresh air and a walk through the National Park undoubtedly stimulate the taste buds, so as part of your free time, we suggest a visit to one of the restaurants located in the Ojcowski Park, where you will have the opportunity to taste the local delicacy, smoked trout. In the second part of the trip, we will see a recently renovated castle in Pieskowa Skala, where you can see objects from the collections of the Wawel Castle. 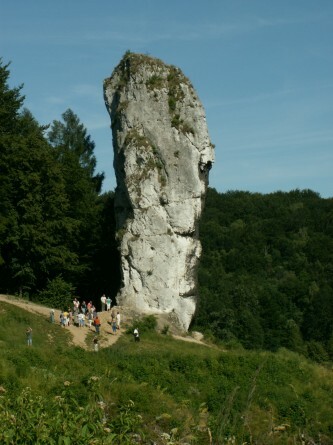 Right next to the walls of the castle you can admire an unusual rock called Hercules' club. The name comes from the shape that it took over the centuries. It is the most important symbol not only of Ojców but also the entire Kraków-Częstochowa Upland. According to legend, the devil himself placed it upside down at Twardowski?s request. 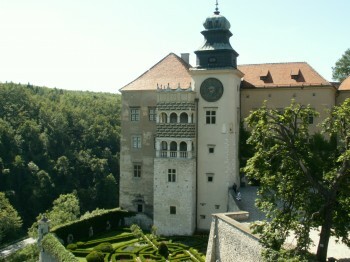 There are also many legends about Pieskowa Skała Castle. It was built in Gothic style, the first mentions about the castle come from 1315, later it was rebuilt in the Renaissance style. 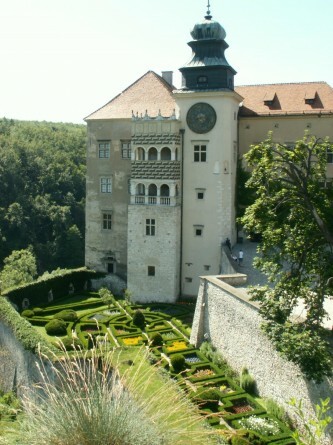 In the courtyard, there is a stylish cafe, where you can enjoy your coffee while savouring views of the Prądnik Valley and the beautiful garden within the castle walls. 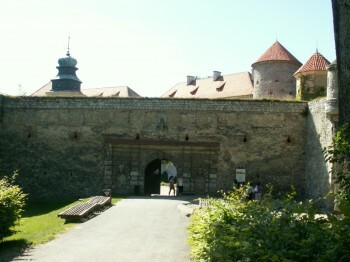 We offer trips to Ojców in the PRIVATE TOUR option. We created this option to satisfy the most demanding of tourists. In addition to choosing the start and end times of the trip, a private comfort-class car with a private driver, the undoubted advantage of this version is the possibility of a private guided tour of Ojców National Park and its surroundings in a previously chosen language. In this case, please make a reservation at least two days in advance. Only then we can guarantee full flexibility due to the ever rising interest in the Park. After the sightseeing program, there is free time on site during which we recommend you try the local trout served at various local restaurants. A short break and the possibility of using the toilet appears after 40 minutes of driving, from the start of the trip. People with disabilities can rent a wheelchair for free but are obliged to have a guardian to help them navigate the grounds of the Ojców National Park. Unfortunately, not all places in the programme are adapted for people with disabilities. In the Private Tour option, it is possible to book an on-site guide in a given language for an additional fee. The guided visit usually lasts up to 4 hours and includes the centre and the surroundings of Ojców. We tailor the sightseeing programme individually after consulting with you.